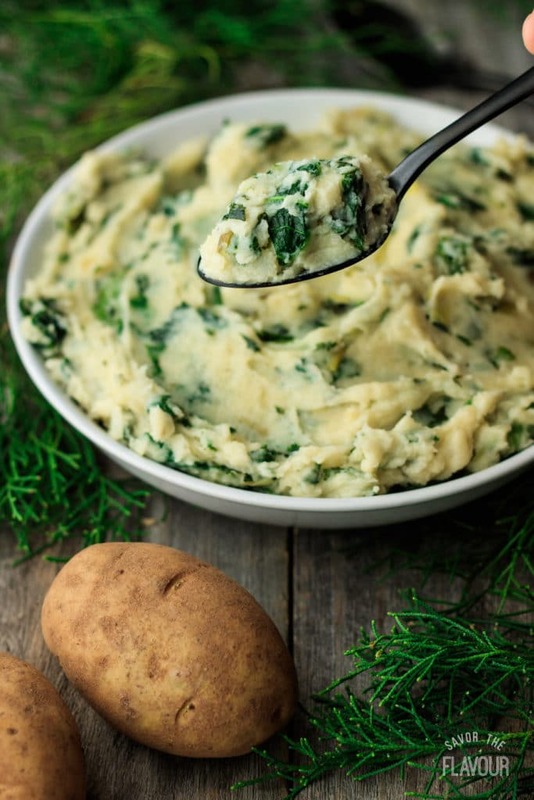 This Irish colcannon recipe combines creamy mashed potatoes with kale, onions and cream. It's easy, can be made ahead, and is vegetarian. 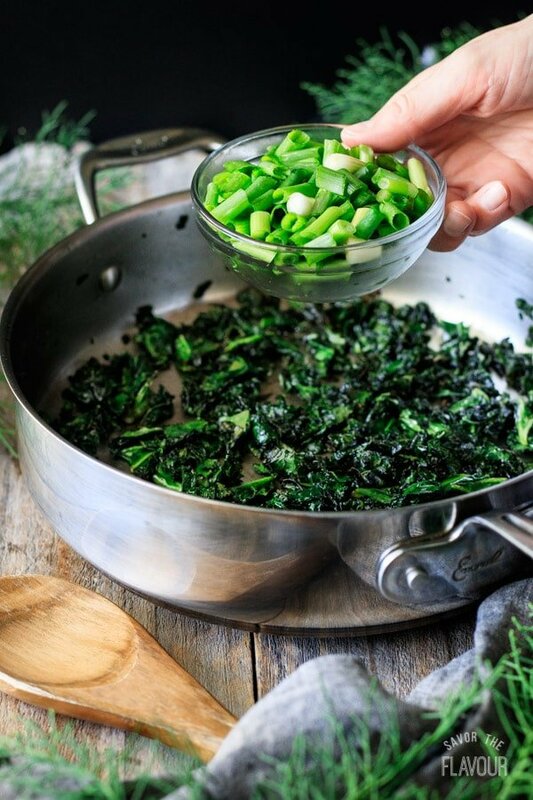 This authentic recipe is a simple side dish and a great way to add more greens to your dinner table. Serve hot with a pat of melted butter for your St. Patrick's Day party or an Irish themed meal. This recipe was originally published on March 2, 2018. 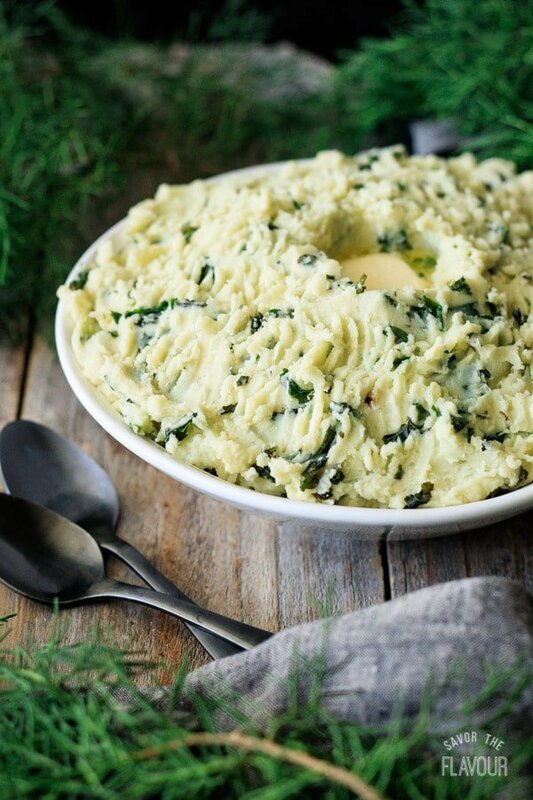 Colcannon is an Irish comfort food that is extremely popular in Ireland. 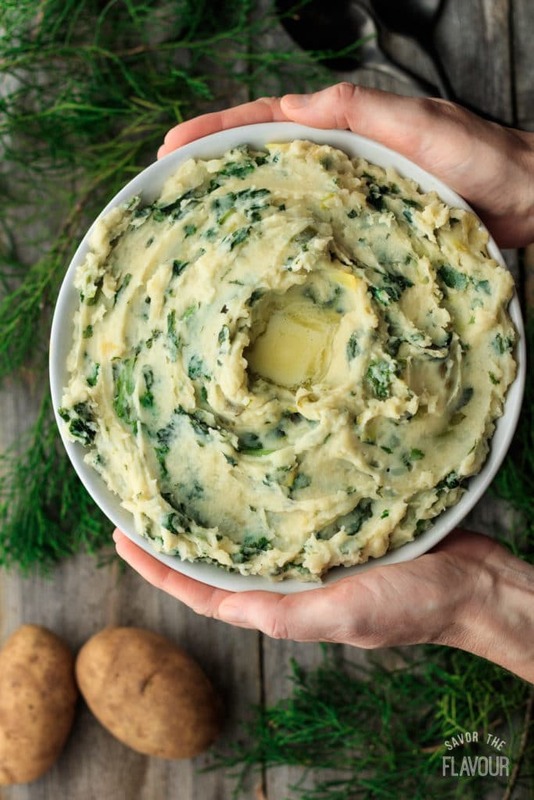 It is a mashed potato dish that is combined with cooked kale or cabbage, onion, cream, and butter. My girls and I first tried colcannon four years ago and it was an instant hit. Where does colcannon come from? Colcannon is a Gaelic word “cal ceannann” which means white-headed cabbage. 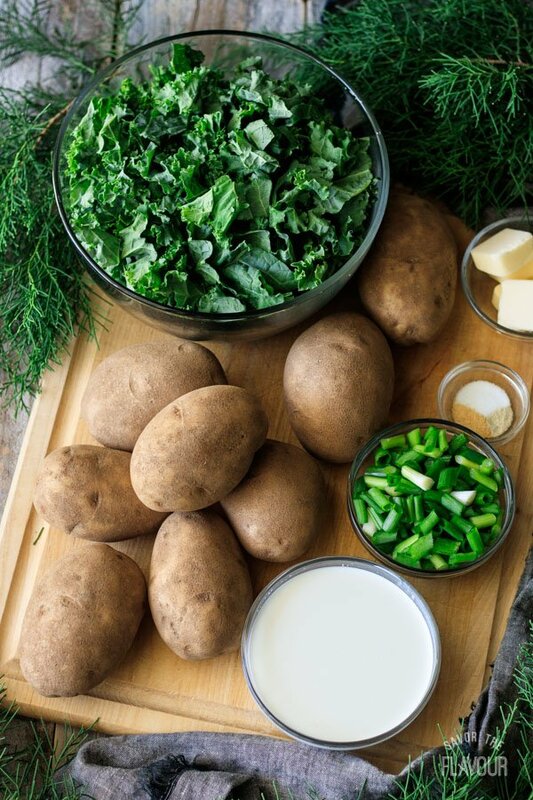 In Ireland, potatoes, cabbages and leeks were considered common food, so it’s only natural for Irish home cooks to experiment with these ingredients. What ingredients are in colcannon? What do you eat with colcannon? In Ireland, it is commonly served with boiled ham or rashers (bacon). In Northern Ireland, it is served with bangers (sausages). Other meats that go well with colcannon are corned beef, scallops, and smoked haddock. If you’re looking for a meatless meal, try serving it with poached eggs. What can you do with leftover colcannon? Make potato cakes with a fried egg for breakfast. Use it to top shepherd’s pie (cottage pie). Make fritters or tater tots. What’s the difference between colcannon and champ? The only difference is colcannon has cooked kale, savoy or green cabbage add to it. Champ is a variation of colcannon. If you don’t have any kale or cabbage in the fridge, make champ. They are both served with a knob of butter. 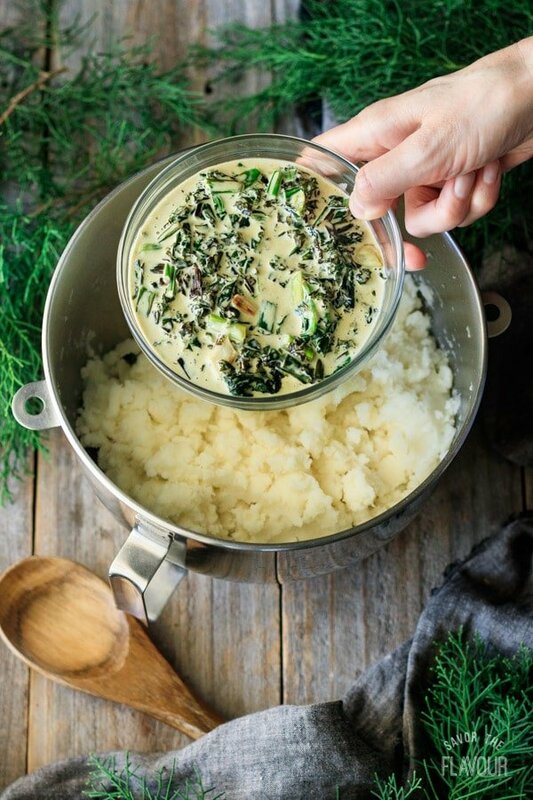 Yes, you can freeze colcannon if the mashed potatoes have fat in them, so make sure to add cream, whole milk or butter. Mix your fat of choice in really well, and wait until the colcannon has completely cooled. There are two methods for freezing: individual portions or one large mass. If you want small portions of colcannon, place 1/2 cup to 1 cup mounds on a baking sheet and freeze until solid, then transfer to a zip-top freezer bag. You can also freeze all your colcannon together in a zip top bag. Make sure to squeeze out all the air and to seal it well. It should keep in the freezer for up to two months. How do you serve colcannon? For each individual serving, instruct your guests to make a well in their warm colcannon, with the back of their spoon, and put a knob (pat) of butter inside. Eat from the outside to the center. Each time dipping your spoonful of colcannon into the well of melted butter. Wash, peel, and cut up the potatoes. Submerge them into cold water and add some salt. Cover and bring to a boil. Simmer until fork tender. 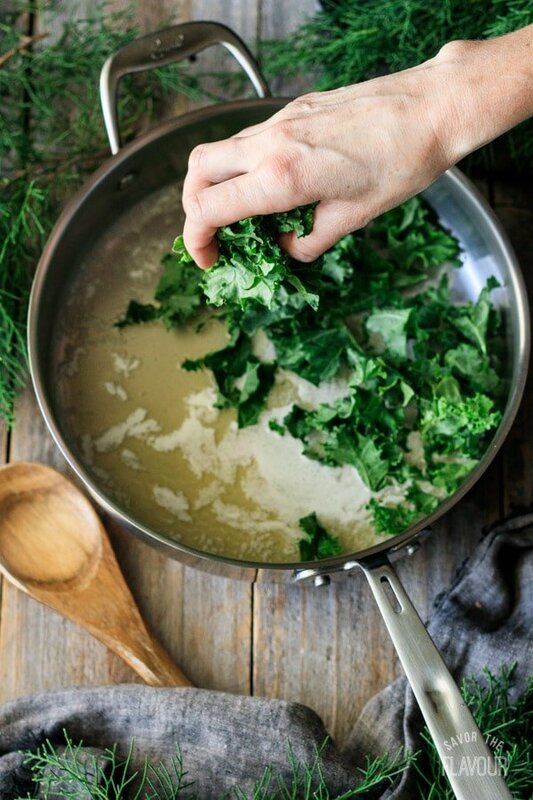 Melt the butter in a skillet over medium high heat and add the kale. 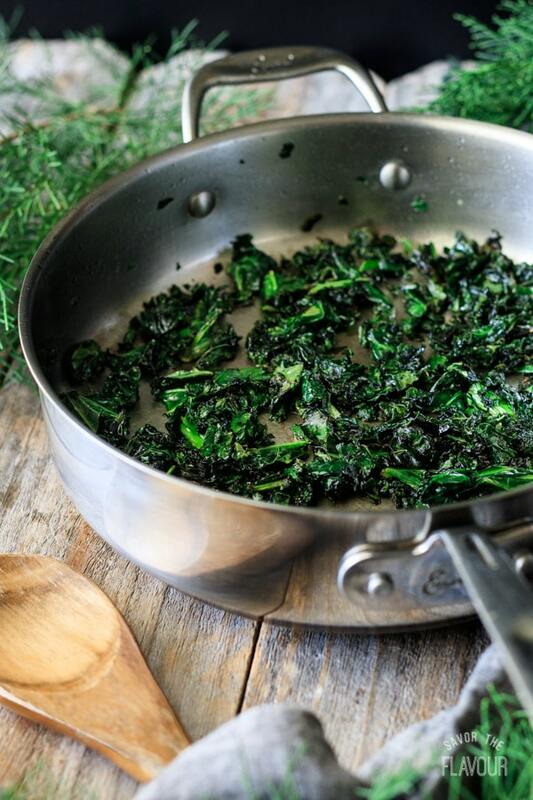 Reduce the heat to medium and saute the kale for 5 minutes. Sauté for two minutes, stirring occasionally. Add the cream and heat through. Once the potatoes are cooked, drain them in a colander. 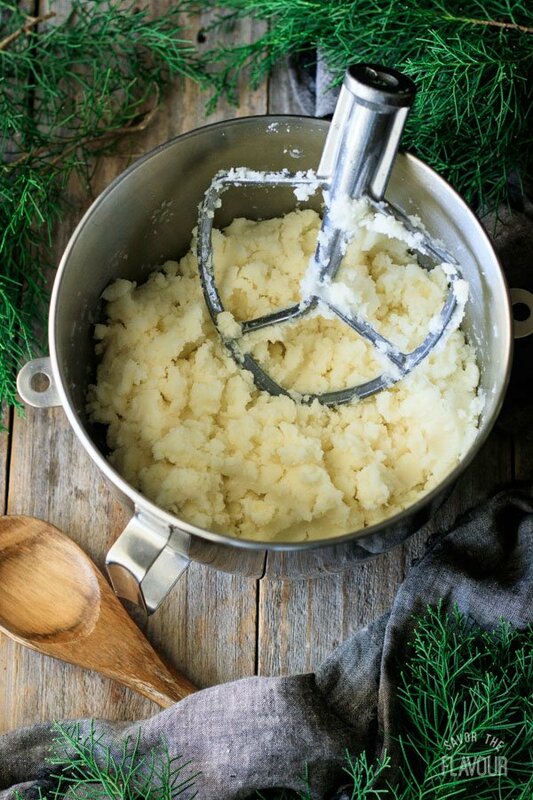 Whip the potatoes in a stand mixer until smooth, but don’t add anything to them just yet. Add the cooked kale, green onion, and cream mixture to the warm mashed potatoes. Add the seasonings (garlic powder, white pepper and salt). Taste and adjust seasonings. Serve warm with a knob of butter. Want to use cabbage instead of kale? Try shredded savoy or green cabbage. What other vegetables can I add? Try turnips, parsnips, spinach, or Brussels sprouts. What other alliums can I use? Experiment with onions, leeks, garlic, scallions, shallots, or chives. What kind of potatoes can I use? Yukon gold, red, or russet would be good to try. Want to add cheese? For best taste, use an Irish white cheddar like Dubliner. Want to add meat? Try cooked bacon, chopped ham, or shredded corned beef. Don’t want to use heavy cream? Try whole milk, half and half, or evaporated milk. 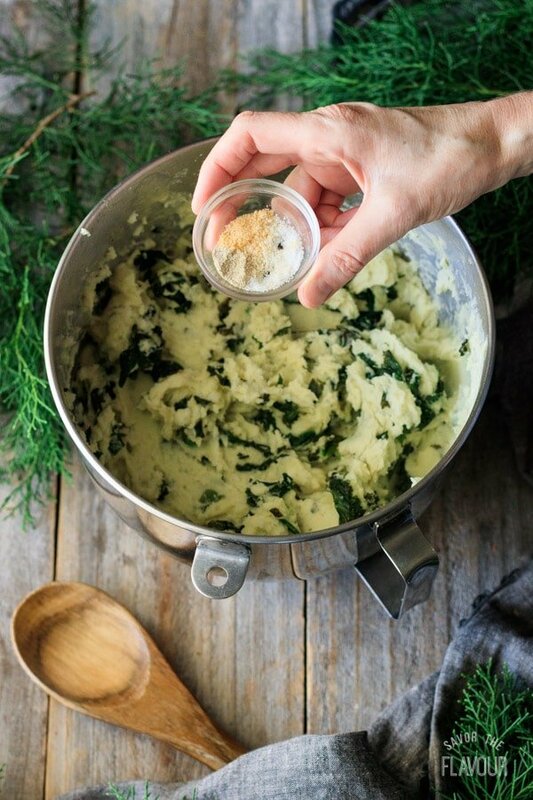 If you have never tried colcannon before, have I convinced you to give it a try? It’s truly is awesome with a knob of butter on top. Hungry for more St. Patrick’s Day food? 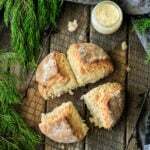 Check out these fantastic Irish recipes! Smoky Cheese, Ham, and Potato Soup: a life-changing soup with an amazing smoky flavor. Irish Boxty Bread: a easy, no-yeast potato bread. Boxty on the Griddle: a chewy potato pancake your family will love! The pleasure of a 5-star review of this colcannon recipe would be greatly appreciated. This Irish colcannon recipe combines creamy mashed potatoes with kale, onions and cream. It’s easy, can be made ahead, and is vegetarian. 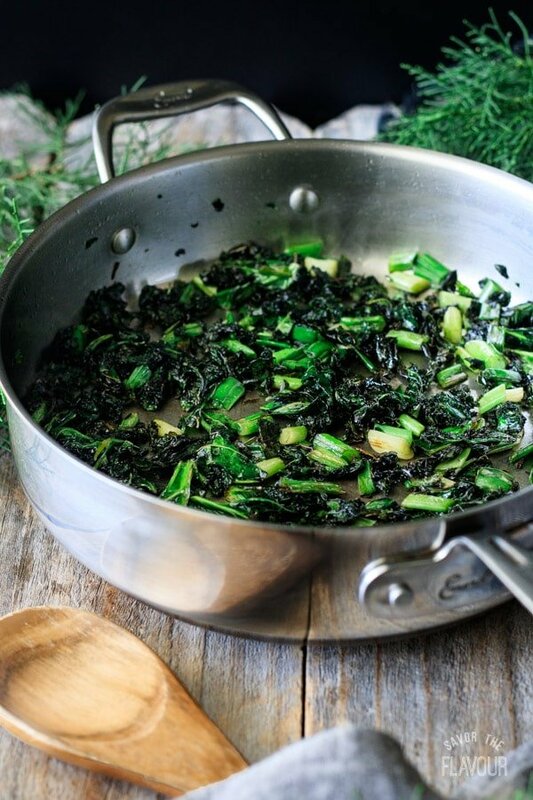 This authentic recipe is a simple side dish and a great way to add more greens to your dinner table. 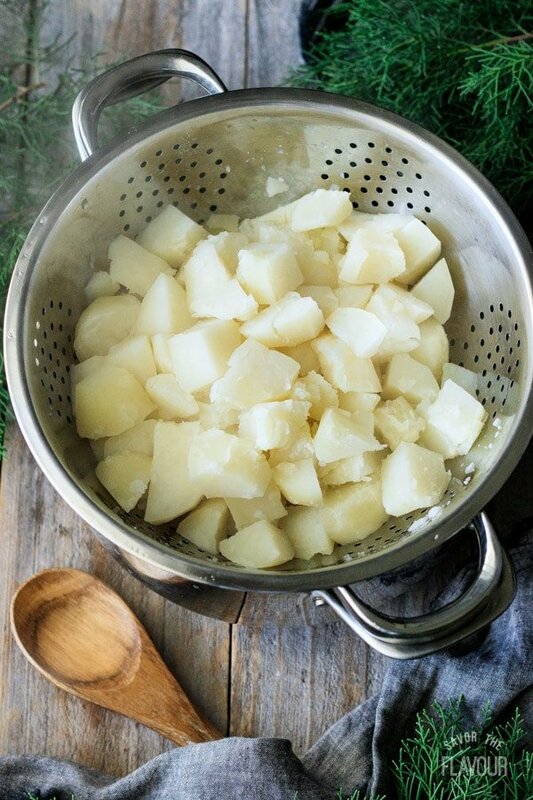 Serve hot with a pat of melted butter for your St. Patrick’s Day party or an Irish themed meal. Peel and cut the potatoes into eighths. 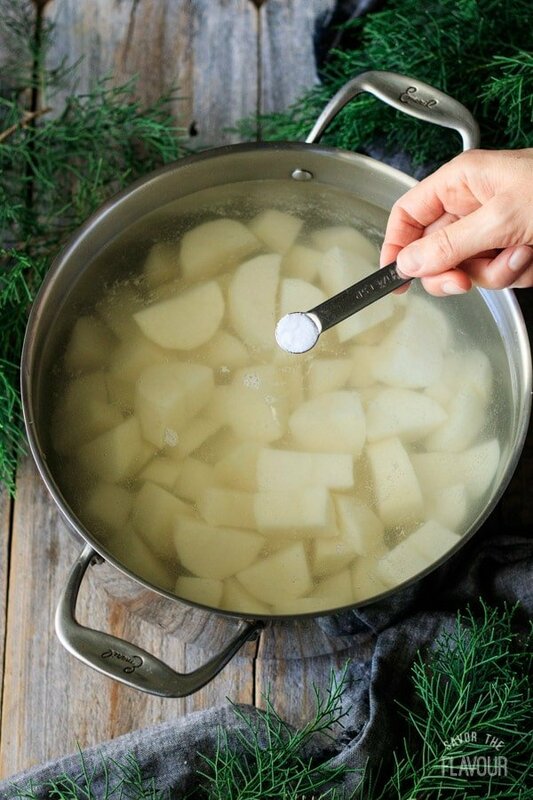 Put the potatoes into a pot of cold salted water, cover, and bring to a boil. Reduce heat and simmer until fork tender, about 15 minutes. Drain well, then place in the bowl of a stand mixer and whip with the paddle attachment until fairly smooth. Resist the temptation to add anything to the potatoes while mixing. Wash the green onions and cut both the green and white parts on a diagonal into 1/4 inch pieces. Measure out 6 cups of kale, discarding any wilted pieces. 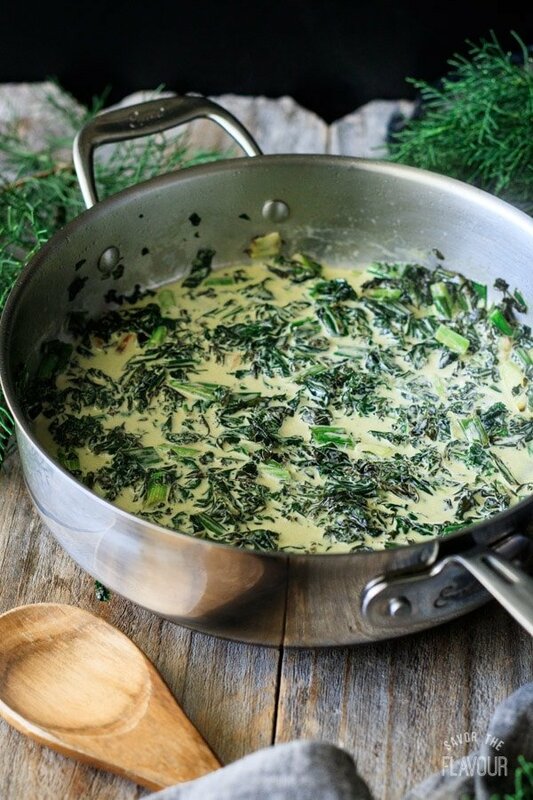 Melt the butter in a pot over medium heat, then add the kale and cook for 5 minutes. The greens will shrink a lot. Add the green onions and cook for 2 minutes, then reduce the heat to medium low. Pour in the cream and heat through. Add the cream, kale, and onion mixture to the whipped potatoes. Add white pepper, garlic powder, and salt to taste. Stir until well combined, then transfer to a serving bowl. Serve hot. 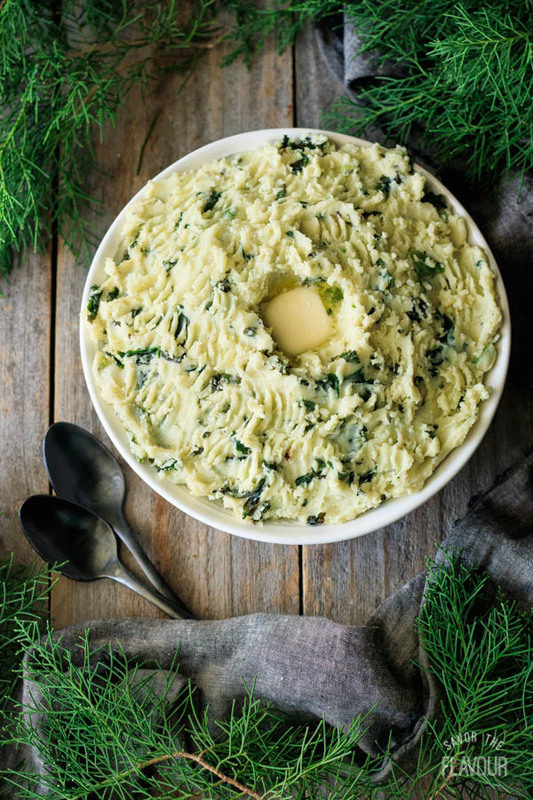 Make a small well in the center of mound of colcannon with a spoon. Place a tablespoon of butter in it and watch it melt. Eat from the outside in with each spoonful dipped in the melted butter. The pleasure of a five star review would be greatly appreciated.